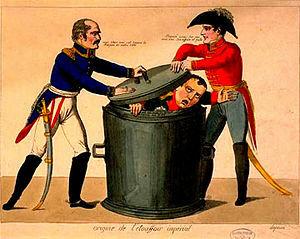 In Britain as a whole, war-related memorials were uncommon until 1802 when, in response to Napoleon’s policy of memorialisation, £40,000 (about £1,250,000 today) was set aside by government for the creation of the Committee of National Monuments, from which memorials and monuments were to be constructed. Initially this fund was largely used inside Greater London, however gradually ‘monument mania’ caught on across the country, backed by the public and the insistence of newspapers. By 1838 the Times was reporting with regret that within a radius of 30 miles inside the city of London there were not more than 17 statues. It found comfort however in the fact that this was a definite improvement over those present twenty years earlier, when less than half that number had been erected, most of them being of monarchs (King, 1998). The first non-royal public memorials in London were constructed in 1809 and 1816; the first in Devon and Somerset however, are a lot more difficult to determine. Where records in London were meticulous, those in rural areas are not. Bristol and the cities of Exeter and Plymouth display some memorialisation, although most, especially in the latter two, are relatively private affairs situated inside public buildings. A contender for the first such memorial would be the Wellington Monument, on the border between Devon and Somerset on the Blackdown Hills, although only because it was started in 1817 – it was not to be finished for 40 years thereafter (Corke, 2005). Across the board it is clear that officers are more prominent on memorials and much more common in the wider record of 19th Century memorials than the private soldier. There are many reasons for this including the 19th century class system, record keeping, officers’ use has figureheads, their fame and perceived example etc. By the time of the First World War however, attitudes were starting to change. The Second Anglo-Boer War (1899-1902), often just refered to as the Boer War, was the first conflict to utilise large numbers of Volunteer and Yeomanry Battalions. In this it set a precursor to the mass mobilisation and conscription present in Britain during both World Wars. Coupled with advances in press coverage made during conflicts such as the Crimean War in the 1850’s, people could now see hear and read about the importance of not just the commanders and the armies in general, but about individuals. Medal lists were published, mentions in despatches were read and quoted and complete casualty lists were kept. The people at home became closer to the troops than ever before, and slowly came to realise that all but the highest ranking generals were all in the same boat. 20th Century memorials reflect this change in attitudes. On the Blackdown Hills we can evidence this in several places where ranks are not mentioned at all and the dead are listed alphabetically instead, such as at Buckland St. Mary and Chardstock. In other places such as Corfe ranks are displayed in public outside the church, but all names are presented without rank inside. At Staple Fitzpaine the situation is similar in that names are present in order of rank but without the rank being given, leading to slight confusion on first viewing. In modern times with our recent conflicts in Iraq and Afghanistan we can see this trend continuing. Modern memorials are either dedicated to all the men and name none of them, or all the men and name all of them, most often without details of rank. Who protects memorials in the Blackdown Hills? 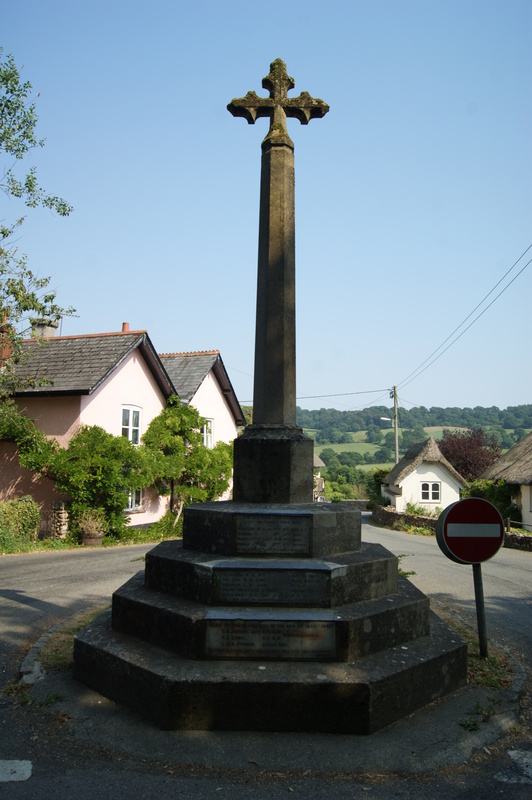 At present war memorials in the Blackdown Hills, like all others in the UK, have no special legal protection. Local parish councils implicitly take on the role of protector of memorials in public spaces, and under the War Memorials (Local Authorities’ Powers) Act of 1923 they have the power to restore memorials, but it is not an obligation. Churches take on responsibility for those within their grounds. A way for a memorial to acquire some legal protection is for it to be designated a listed building. It then requires planning permission to affect change, and any unpermitted change is an offence with possibility of criminal conviction. 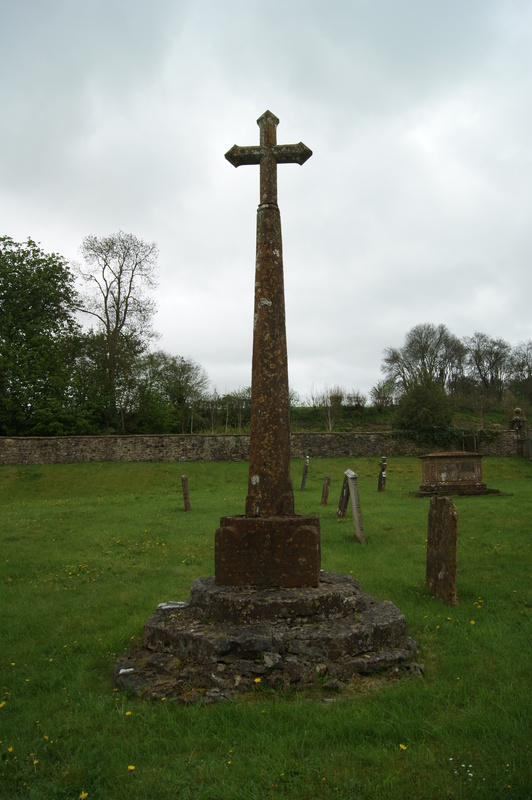 At present only two memorials in the Blackdown Hills AONB are listed buildings, the Whitestaunton Great War Memorial and Upottery village memorial. Whitestaunton is of special interest because it reuses a medieval church spire. Upottery is located in the picturesque public square surrounded by listed buildings. This strongly suggests that many more memorials in the Blackdown Hills could be designated. Given that we estimate there are over 100 memorials in the AONB the two currently listed represent a tiny proportion. Along with listed buildings, county councils in the UK also maintain Historic Environment Records (HERs) which are databases of all sites of historic and archaeological interest for a given county. These are the basic starting point for heritage assets for an area and fulfil a development control and educational role. Inclusion of war memorials in HERs would be beneficial, as they will be flagged when council staff are considering planning applications. Although this will not carry additional legal weight it may be a contributing factor that results in their in-situ preservation or organised relocation. At present only eight of the memorials in the AONB are included in an HER database, and they are all on the Somerset side. None of the Devon memorials are included in their respective county HER. According to staff at Devon Heritage Centre this is simply because they haven’t been submitted for inclusion, and there is a general presumption for all memorials to be entered. At the end of the project we will submit all our data to both the Devon and the Somerset HERs. We will also compile a list of memorials suitable for designation as listed buildings. Cataloguing is a starting point while working towards greater care of memorials at state level, and naturally we support the War Memorials Trust and Daily Telegraph in their continued efforts.